Isuzu Motors Limited and National Truck Service SAS, a subsidiary of Helm Holdings International in US have announced that they have agreed to form a new joint venture company called “Isuzu Remanufactura de Colombia S.A.S. (hereinafter called “IRC”) with aims to save customers’ maintenance costs and make effective use of resources by rebuilding used engines beginning November, 2017. IRC, founded in the capital city Bogota, will engage in the business of rebuilding used vehicle engines (engine remanufacturing) for Isuzu. In 2008, Isuzu and General Motors South America Ltd. (headquartered in Sao Paulo) established a joint venture, GM-Isuzu Camiones Andinos de Colombia, Ltda. (GMICA-Colombia) in Colombia with a view to effectively market new vehicles. The joint efforts will also be directed toward developing and pursuing the engine rebuilding business. Isuzu and GM jointly hold a high market share exceeding 50% in the commercial vehicle segment in Colombia. Volkswagen is extending its model range with a newly-developed compact-class crossover: the Volkswagen T-Roc. Extensive personalisation options (customer-selected decors and bi-colour design); highly advanced vehicle assistance systems (Front Assist and Lane Assist as standard, optional Traffic Jam Assist); innovative digital features (new generation of Active Info Display); ideally connected (via Volkswagen Car-Net); efficient engines (direction-injection turbocharged engines with up to 140 kW / 190 PS); agile and designed for comfort (ride comfort on same level as a Golf, optional DCC adaptive chassis control) and a pioneering, avant-garde design. 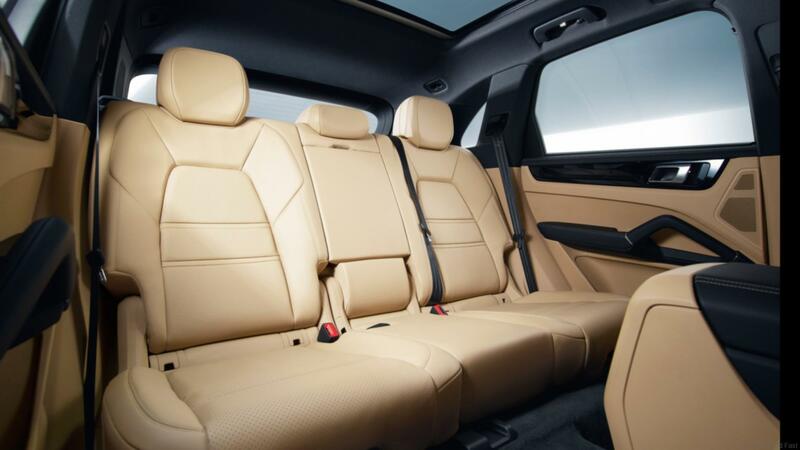 With this configuration, the new crossover from Volkswagen brings fresh impetus to the compact SUV class. 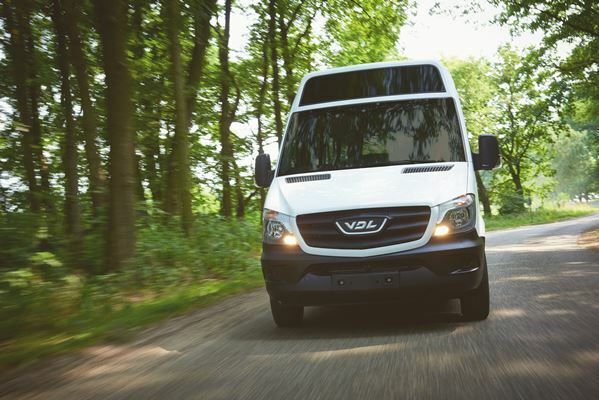 Concise exterior dimensions, a high level of interior functionality (five-seater, 445 litres of luggage capacity). A versatile vehicle – available with front-wheel or all-wheel drive (with all-wheel drive as standard including the 4MOTION Active Control driver experience switch) – which combines the dominance of an SUV with the agility of a sporty compact. A car which is as much at home in the city as it is on long journeys. 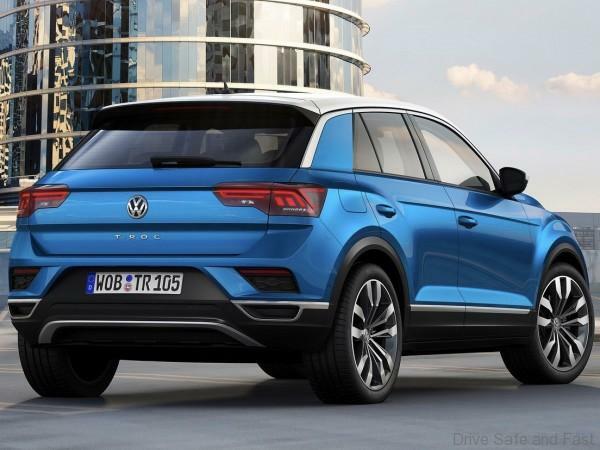 The design of the Volkswagen T-Roc follows a new expressive Volkswagen SUV DNA, which is similar to that of the Tiguan, the Tiguan Allspace (version with longer wheelbase) and the Atlas/Teramont. It brings authentic off-road elements into harmony with dynamism and urban style. The T-Prime Concept GTE presented in 2016 already offers a foretaste of another new SUV with this design DNA. Essentially, the design of each new Volkswagen SUV will be interpreted individually based on this DNA. 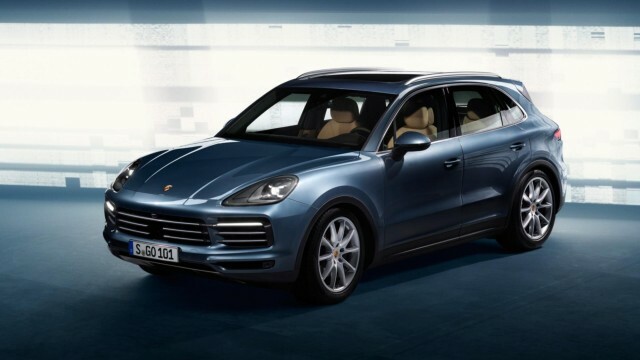 All SUV models are characterised by a unique design that is unmistakably specific to their product and market segment. The T-Roc illustrates this very well. 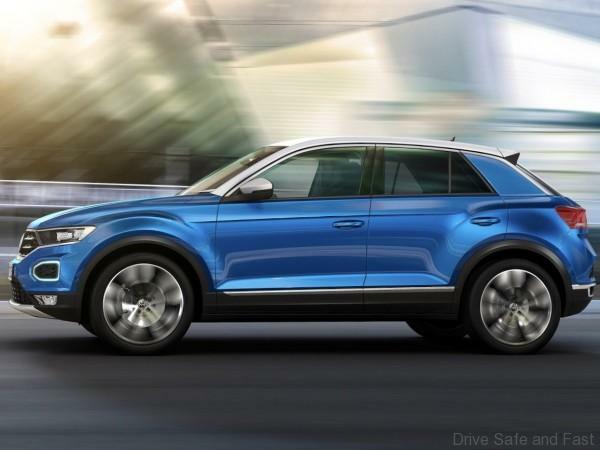 It excites with a progressive design that right away etches itself into the mind as ‘the T-Roc’. At the same time, however, it clearly remains a Volkswagen. 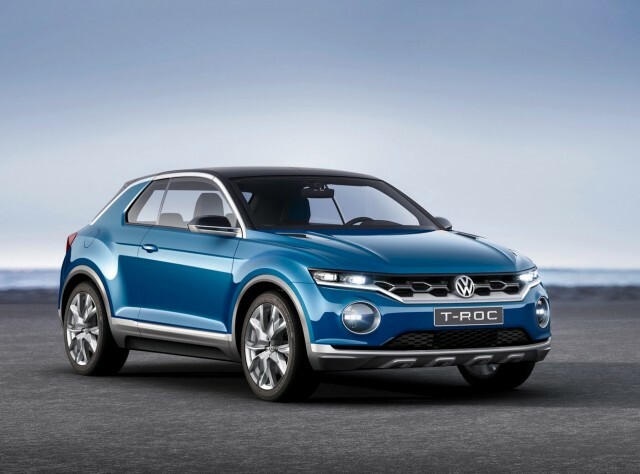 The Volkswagen T-Roc is positioned in the segment beneath the Tiguan. Like that car, and the Atlas/Teramont, the T-Roc is based on the modular transverse matrix (MQB). This means that all three models share the same basic structural platform, but they each have a completely independent body and interior layout. Thanks to the MQB, the development team was able to implement very dynamic proportions. This is especially true of the new T-Roc. 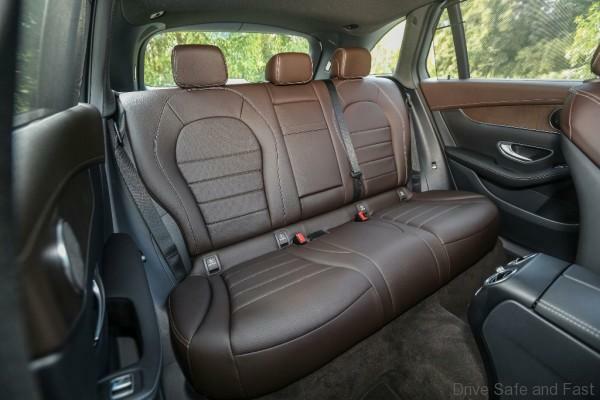 The crossover model is 4,234 mm long (252 mm shorter than the Tiguan), and it has a 2,603 mm wheelbase. 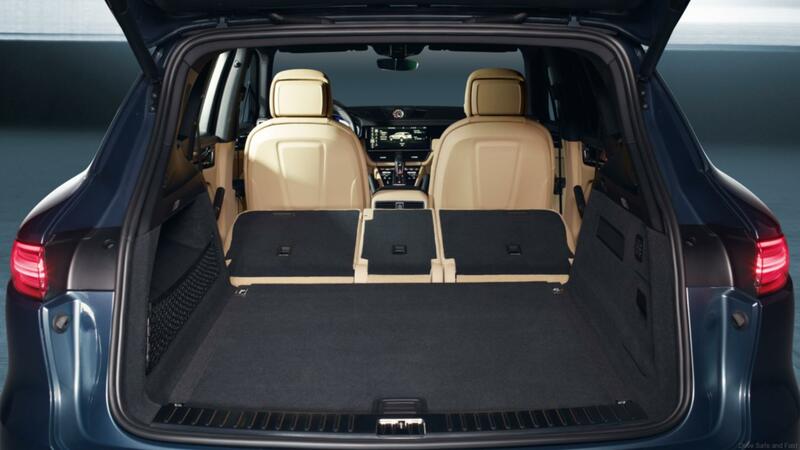 The SUV’s width is 1,819 mm (without exterior mirrors), and its height is 1,573 mm. The width, which is relatively large in relation to the rather low roof structure, underscores the vehicle’s dynamic proportions. At the same time, the body’s somewhat lower centre of gravity compared to other SUVs optimizes handling properties. Its styling is also defined by its short overhangs (831 mm front, 800 mm rear) and large track widths of 1,546 mm (front) and 1,541 mm (rear). 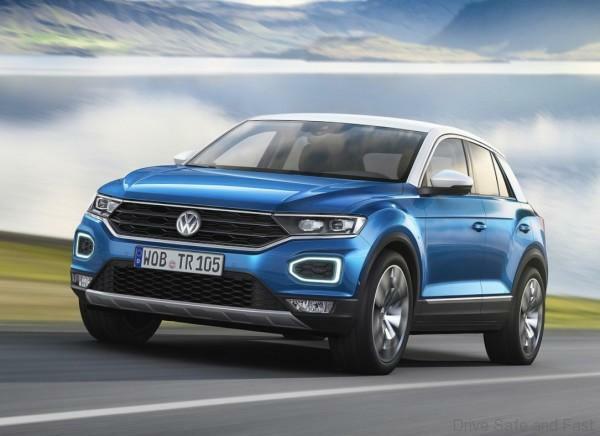 The Volkswagen T-Roc can be further adapted to the driver’s personal preferences via a range of convenience systems that is exceptionally large for this vehicle class. They include features such as adaptive chassis control (DCC). The system’s electrically adjustable dampers make it possible to make the T-Roc running gear tuning very sporty, or more pliant, as an alternative to the normal tuning. 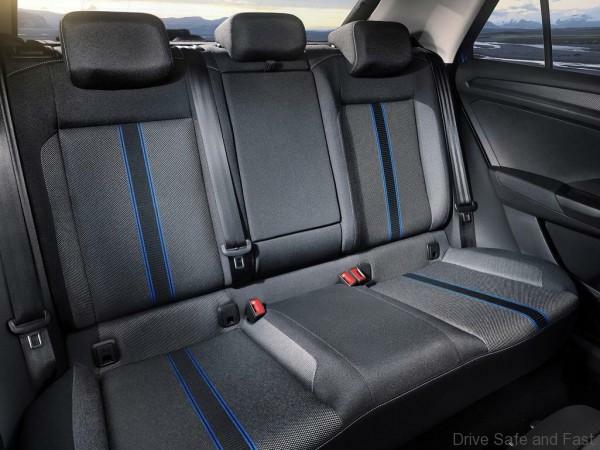 The car’s dynamic character and comfort are also optimised by progressive steering, which was originally introduced in the Golf GTI (enables better control in a sporty mode of driving and offers added ease of steering during manoeuvring). 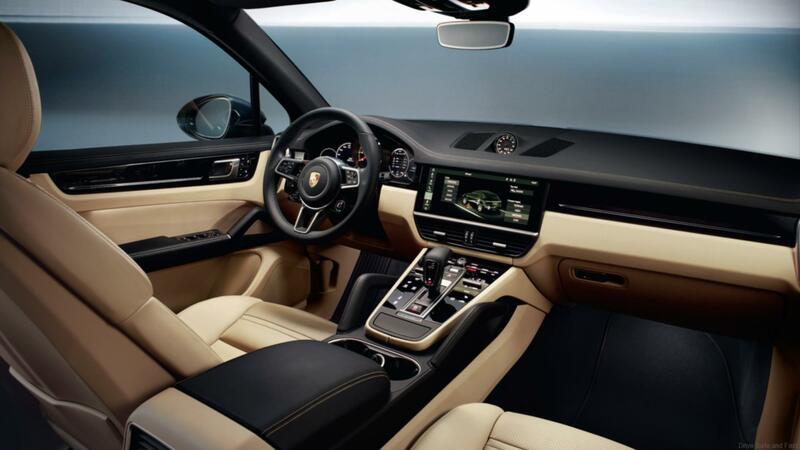 Other convenience systems include electric actuation of the boot lid, the keyless locking and starting system Keyless Access, auxiliary heating and ventilation, a two-zone Climatronic system and steering wheel heating. The optional panoramic sunroof brings ample light into the T-Roc interior. It is 870 mm wide and 1,364 mm long, which makes this tilting/sliding sunroof – which consists of two glass parts – the largest in the market segment. The Renault-Nissan Alliance and Dongfeng Motor Group Co., Ltd. (Dongfeng) announced a new joint venture to co-develop and sell electric vehicles (EV) in China. The new joint venture, eGT New Energy Automotive Co., Ltd. (eGT), will focus on the core competencies of each partner and will harness the full potential of the Renault-Nissan Alliance electric vehicle leadership, as well as the resources of Dongfeng in the new energy industry, to meet the expectations of the Chinese market. 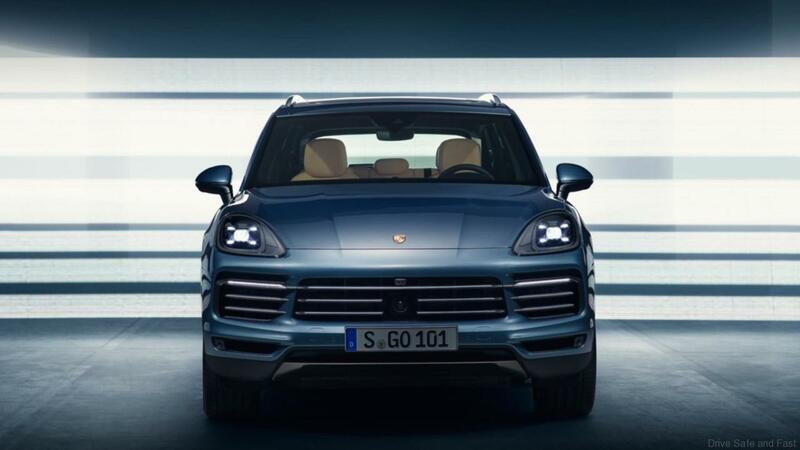 eGT will design a new EV with intelligent interconnectivity, that will be in line with the expectations of Chinese customers. It will be built on an A-segment SUV platform jointly developed by the Alliance. It will draw on the global leadership on EV technologies and cost-effective car design experience from the Alliance, and the competitive manufacturing costs from Dongfeng. Renault, Dongfeng and Nissan (China) Investment Co., Ltd. (Nissan) have signed an agreement to set up the new joint venture. Renault will hold 25 percent of eGT, Nissan will hold 25 percent and Dongfeng the remaining 50 percent. 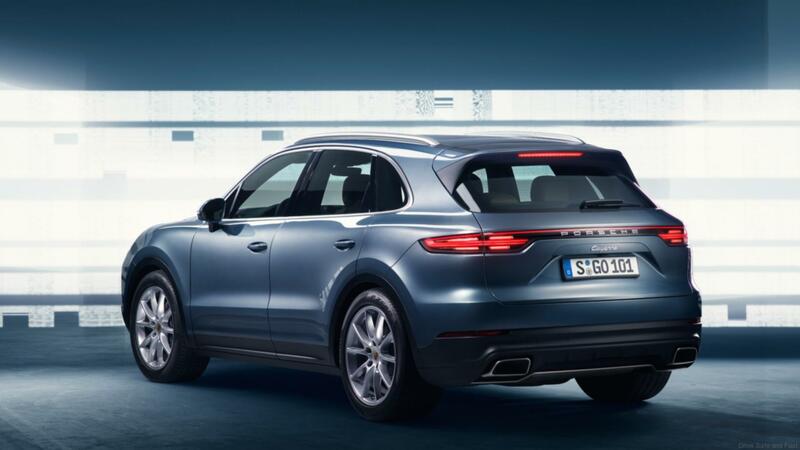 This new Porsche Cayenne is riding on VW Group’s new MLB Evo platform, and shares its underpinnings with the Audi Q7 and the upcoming long delayed 2nd generation VW Touareg. 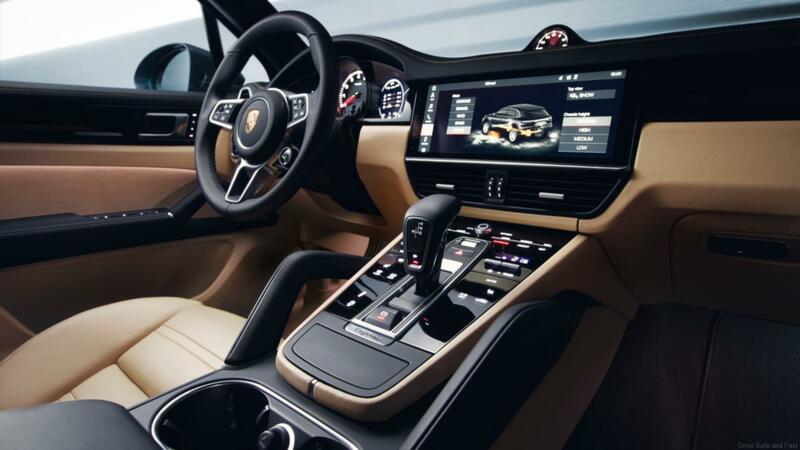 Cabin look and features are shared with the all new Panamera and the center console clutter is now gone, just like in the Panamera. Both V6 and V8 turbo engine options will be available at launch, while the diesel option will be slightly delayed citing the company’s ongoing Dieselgate-related issues. 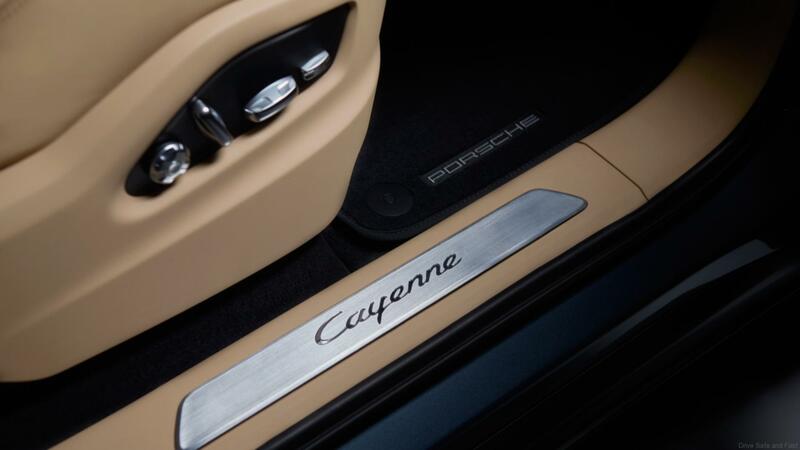 The new Porsche Cayenne will make its official debut on Tuesday August 29, 2017. 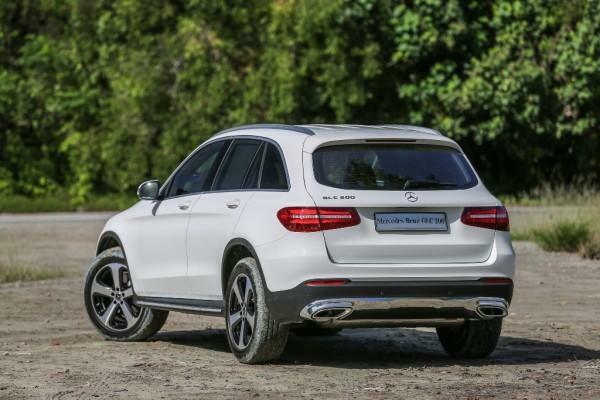 The GLC 200 is equipped with the Off-Road Exterior design which underscores the vehicle’s SUV characteristics with rugged design features in chrome. The radiator trim boasts an integral Mercedes star and two louvres in matt iridium silver with chrome inserts. Other highlights include the 19-inch 5-spoke light-alloy wheels, the chrome-plated simulated underguard and the exhaust system with two visible, chrome-plated tailpipe trims and the anodized roof rails. In addition to the striking look, the LED High Performance headlamps and LED tail lights provide more safety at night thanks to a broad light distribution. Its interior features Exclusive line, including upholstery in Artico man-made leather/fabric, Artico-covered dashboard with contrasting topstitching in three colours, seats featuring an exclusive upholstery layout, wood trim in high-gloss brown line structure lime and the 3-spoke multifunction steering wheel. 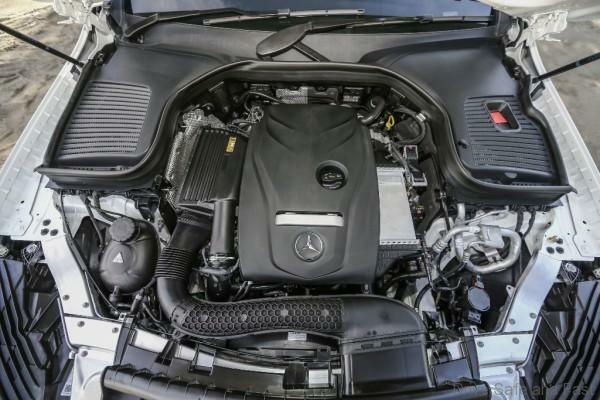 The GLC 200 is powered by a 2.0-litre four-cylinder engine, which produces 184 hp and 300 Nm of torque. 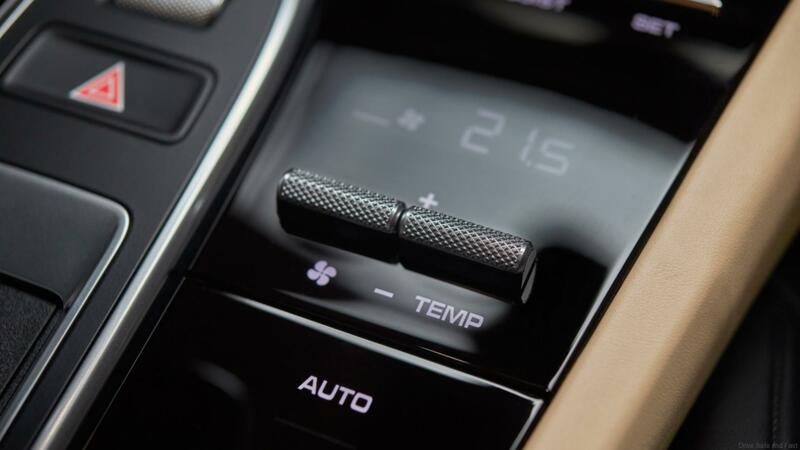 The nine-stage 9G-Tronic automatic transmission also comes as standard on the model. Depending on the mode selected for the Dynamic Select dynamic handling control, the automatic transmission with a torque converter boasts great agility and responsiveness. 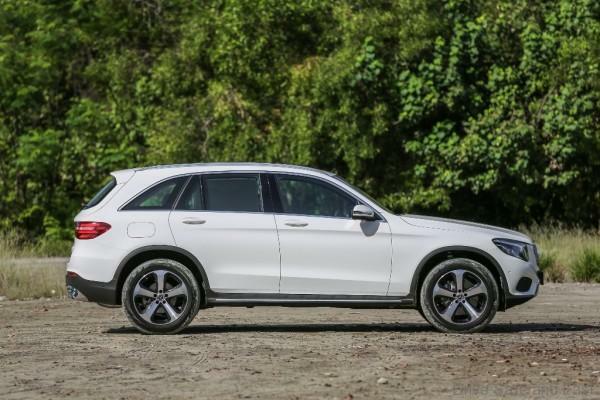 Mercedes-Benz Financial has very attractive financing offers available for the SUV variants. 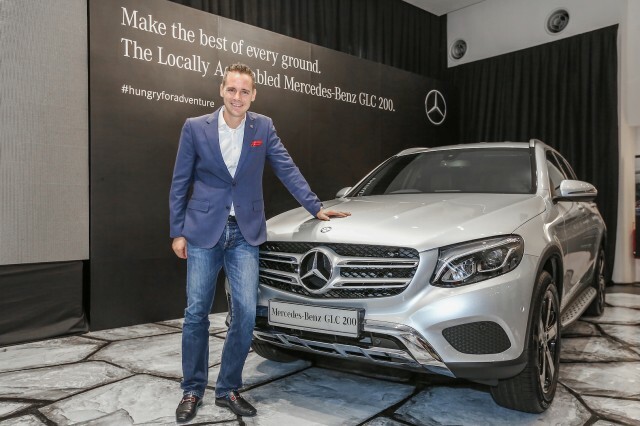 Finance the new GLC 200 (CKD) at RM2,888 per month and for the GLC 250 4Matic (CKD) at RM3,258 per month. The monthly instalments are calculated based on 3 years tenure under Agility Financing, 20,000km mileage per annum with a downpayment of 20.34%. 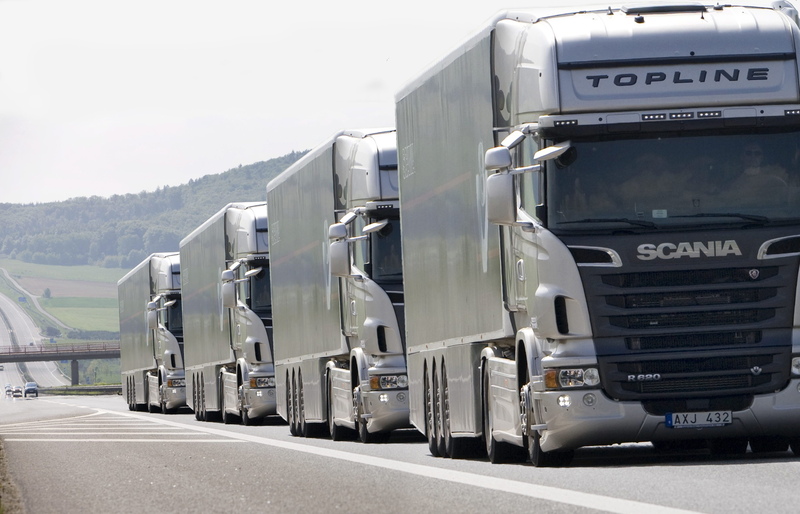 The British government has given the go-ahead for the first trials of convoys of semi-automated trucks on UK motorways. 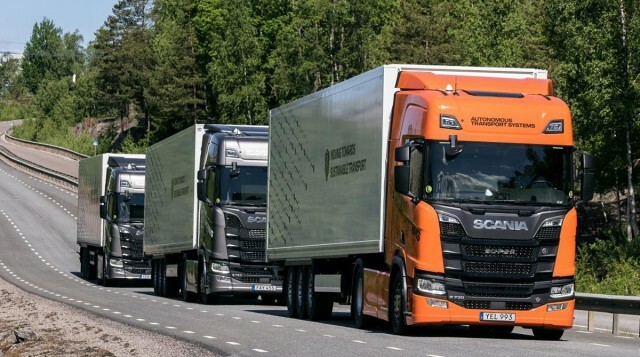 Up to three wirelessly connected HGVs will travel in convoy, with acceleration, braking and steering controlled by the lead vehicle, a concept named platooning. Each lorry will have a driver in the cab ready to retake control at any time. The government is providing £8.1m in funding for trials of the technology. The Department for Transport (DFT) and Highways England have yet to confirm where the first tests will be carried out, but said they were expected on major roads by the end of 2018. 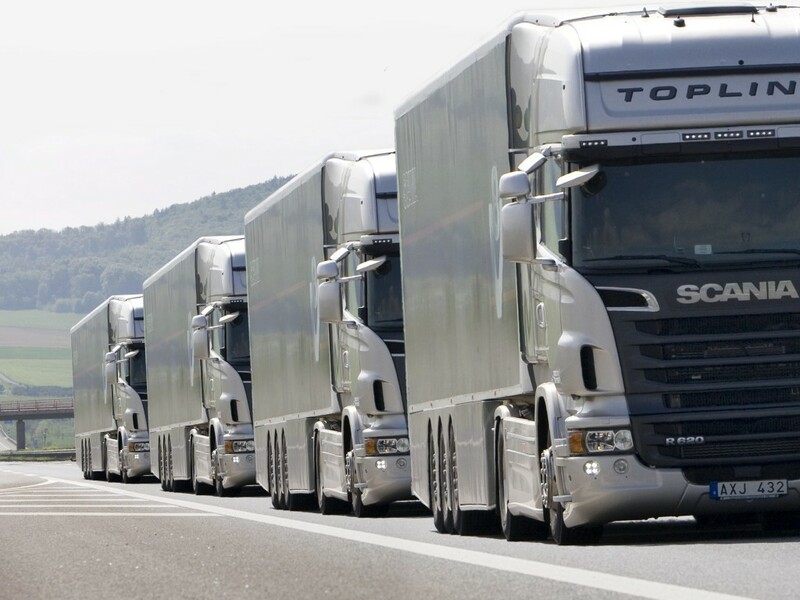 Proponents say platooning could cut both congestion and the cost of fuel for hauliers, although motoring organisations have voiced concerns about safety, particularly on motorways. The DFT said the technology could have major benefits, with vehicles in the slipstream using less fuel, lowering emissions and improving air quality. An earlier attempt to launch tests in the UK, heralded in 2016’s spring budget, stalled after a fruitless search for a HGV manufacturer to participate. The platooning trial will be conducted by the Transport Research Laboratory (TRL), which has been involved in other tests of driverless vehicles, including passenger shuttles in Greenwich and autonomous delivery pods for online shopping. Arctic Trucks, have a long history in Iceland and Scandinavia as creators of 4×4 vehicles able to take on the most demanding terrains and conditions. 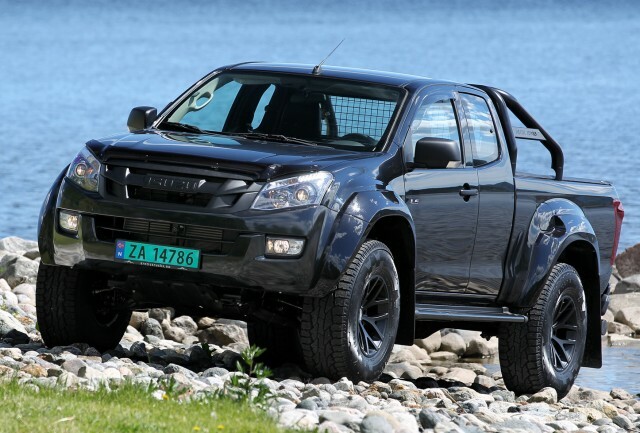 Artic trucks and Isuzu, have now worked together to produce a pick-up/ute that will shine in the most gruelling conditions. 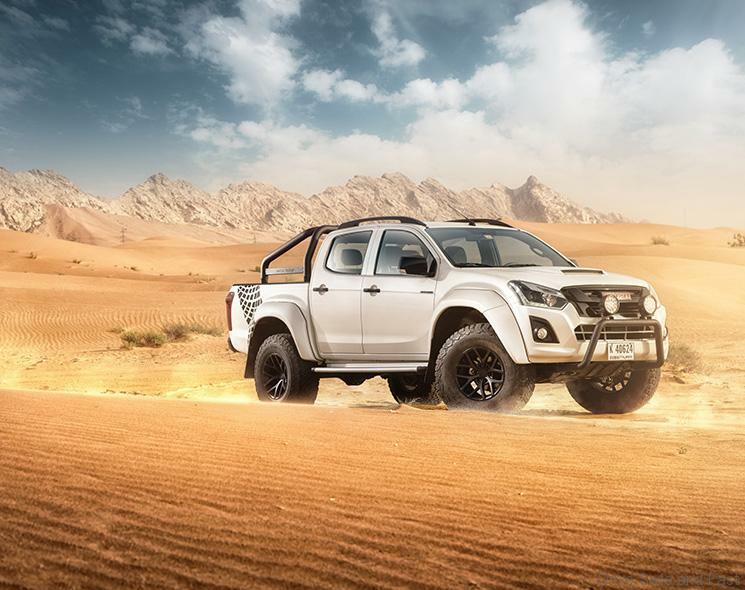 Set for a launch in October for the British market, the D-MAX Arctic Trucks AT35 will feature the 120kW 1.9 litre turbo-diesel engine that isn’t available in the Isuzu trucks in Malaysia as yet. 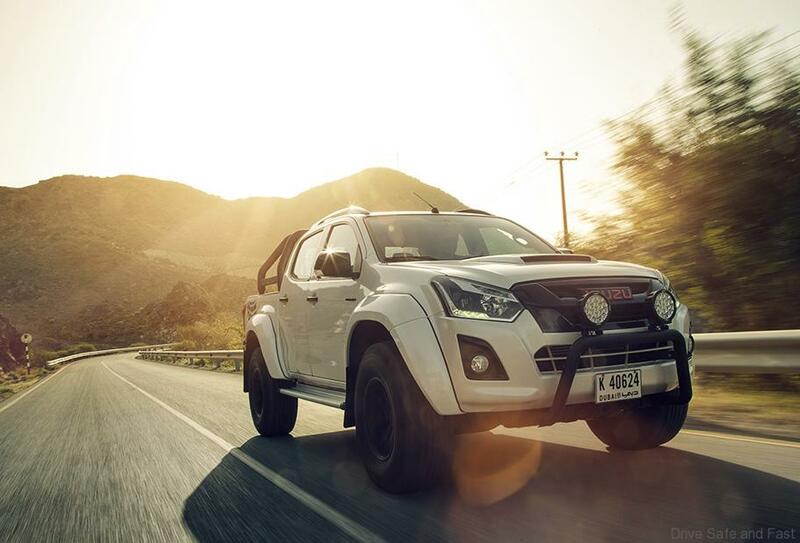 Despite the lower capacity/output, the D-MAX still boasts a 3.5 tonne towing capacity and 1 tonne payload. 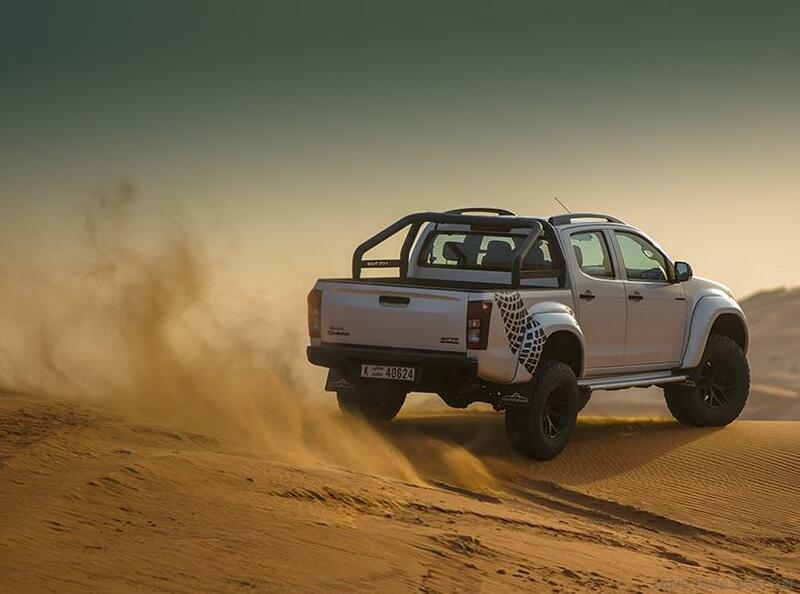 Built into the modified offering is larger wheels and beefed-up wheel arches, as well as tinted windows, and a tailgate damper. 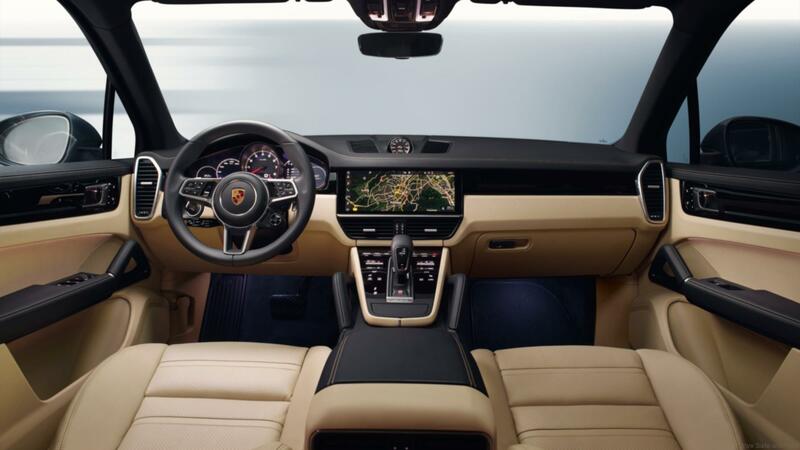 The cabin benefits from enhancements such as keyless entry, push button ignition, digital radio, Apple CarPlay/Android Auto, and a shark fin antenna. There’s also Arctic Trucks branded embroidered headrest, carpet mats, door still covers, as well as badges on the instrument panel & door panels. UD Trucks, together with its sole distributor, Tan Chong Industrial Equipment (TCIE) today launched Croner, an all-new medium-duty truck. 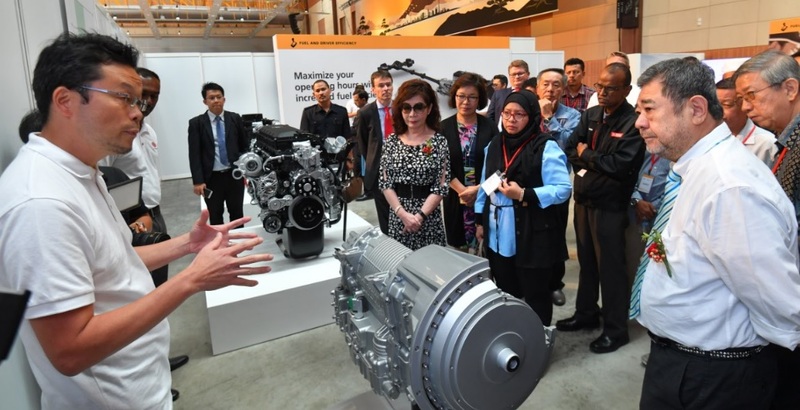 The launch event, held at the Malaysia Agro Exposition Park Serdang (MAEPS), was graced by President of Tan Chong Motor Holdings Bhd, Dato’ Tan Heng Chew, and President of Volvo Group Trucks Asia & JVs, Håkan Karlsson. 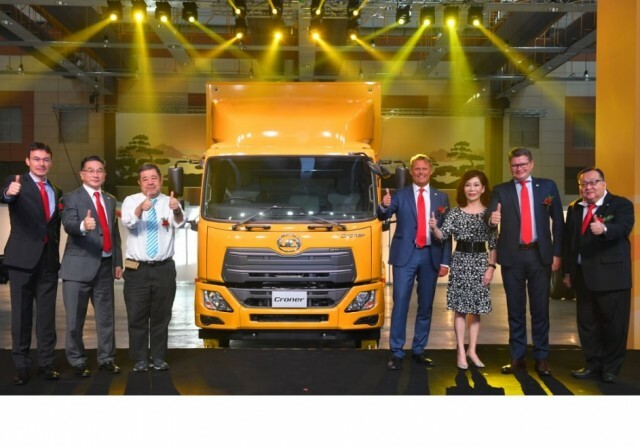 UD Trucks, which belongs to Swedish truck giant Volvo Group since 2007, was first established in Japan in 1935 as Nissan Diesel and had made its way into Malaysia almost four decades ago through TCIE – the truck business arm of Tan Chong Motor Holdings Bhd (TCMH). Continuing the brand’s rich Japanese legacy of building the “truck that the world needs today”, the all-new Croner is specifically made for growth markets like Malaysia, with versatility, uptime and safety in mind. It is a truck range designed for reliability and built with robust and quality components to deliver extra productivity and superior uptime. By understanding customers’ demand and business needs, Croner is engineered to help customers stay ahead of the competition, through the simple concept of saving time, and superior uptime. “Croner’s superiority comes from the best of three worlds – UD Trucks’ Japanese heritage and craftsmanship, Volvo Group’s strong global technology and safety principle, and Tan Chong Industrial Equipment’s deep local knowledge and resources as our highly valued local partner,” said Håkan Karlsson, President of Volvo Group Trucks Asia & JVs. UD Trucks has invested a vast amount of time, with over 3 years of development and testing by its expert engineers who spent 1.7 million engineering hours and 30,000 hours of testing using 90 test rigs and over 100 test trucks to ensure the superior quality of Croner. “Our goal is to build the truck that the world needs today, and in doing this successfully for Croner, we’ve also taken into consideration the feedback and experience that we’ve received since the introduction of our heavy-duty Quester truck range and incorporate it into the design and built of the all-new Croner. I am confident that Croner will bring our customers the efficiency and success they want, in any application,” added Karlsson. Aptly named after the god of time in Greek mythology, Croner is designed to excel in the medium duty segment. “UD Trucks has engineered Croner to help customers do well through the simple concept of saving time. UD Trucks believes that by engineering a robust and versatile truck, vehicle downtime can be greatly minimized, leading to more business efficiency and productivity for customers,” said Toshihiko Odawara, Vice President, Product Management, UD Trucks. As a result, the all-new Croner range is one of UD Trucks’ most fuel-efficient trucks ever. It combines the new GHE engine series, new automatic transmission and a new and more aerodynamic cab design allowing the Croner to reduce the coefficient of drag (CD), thus improves fuel efficiency of the truck. Automatic transmission is available for all models of Croner, providing ease of drive, safety and less strenuous driving experience especially for long-haul drivers. Croner comes in two gross vehicle weight (GVW) models that will be available in Malaysia and they are LKE and PKE. The vehicles’ wheelbase variants offer a wide range of configurations to suit specific demands of various industries. A full air braking system (including anti-lock braking system, ABS) with reliable S-cam drum brakes is offered on all variants, delivering safety and increased reliability of the Croner. The ABS system used in UD trucks is equipped with Electronic Brake Distribution (EBD), which helps avoid over braking of the rear axle and limit the brake pressure based on the wheel. Additionally, the air suspension on PKE model is available as an option to protect customers’ cargo especially when travelling on rough road conditions. “The all-new Croner not only enhance safety for the driver but also for other on-the-road users, as it is equipped with Front Underrun Protection (FUP) that prevents passenger cars from being wedged under the truck in the event of a frontal collision,” he added. 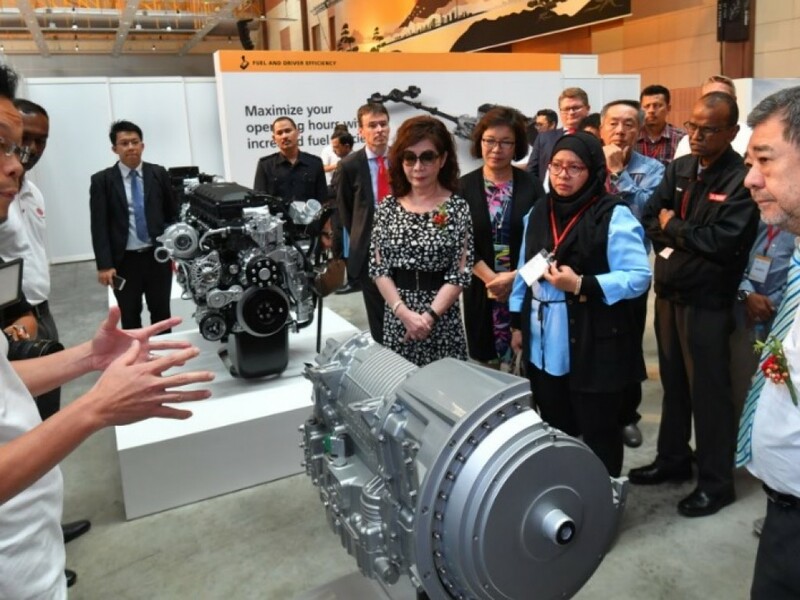 “With an extensive network of 43 service centers and dealerships throughout Malaysia, TCIE will continue to play a major role in providing key support to UD Trucks and customers. TCIE and UD Trucks have shared a unique and solid partnership in building the landscape of Malaysia’s commercial vehicle industry, and the launch of Croner today further reinforces this relationship. We certainly look forward to a continued growth together,” commented Tan. Customers who purchase UD Trucks will also be supported by UD Extra Mile Support services which includes UD Genuine Service and Parts, UD Driver Training and UD Trust Service Agreements for customers. The all-new Croner comes factory-fitted with UD Trucks’ own remote monitoring system – UD Telematics. This system keeps UD customers updated on their fleet in real-time format. UD Telematics provides customers with insights on their fleet, location tracking, fuel reports and helps customers keep track of the vehicle health that includes service reminders, remote diagnostics, and quick break-down assistance. This will lead to less downtime for the fleet, improves fuel efficiency, reduce costs and boost business productivity. In conjunction with the launch, TCIE will be offering attractive rebates of RM10,000 for every booking of the all-new Croner signed from now until August 31, 2017. In addition, customers who purchase Croner can also enjoy full 100% financing for their purchases. This financing feature is valid until December 31, 2017 or while stocks last and is subject to terms and conditions. In order to be able to offer custom solutions for any situation that meet the wishes and requirements of the transport operator during the transition to zero-emission public bus transport, VDL Bus & Coach is currently developing the MidCity Electric. This fully electric minibus with a length of 8 metres is not only ideally suited for making city centres emission-free but is also ideal for transport in sparsely populated areas. The bus has a lowered floor that provides easy access for regular passengers and wheelchair users. In addition, the wheel base extension allows great flexibility in the type and number of seats. The MidCity Electric features a 87 kWh battery with an action radius of up to 220 km. VDL Bus & Coach will introduce this new electric model in the course of 2018. VDL Bus & Coach is European market leader in the area of zero-emission public bus transport. To produce customer solutions in partnership with the transport operator during the transition from diesel to electric, VDL is increasingly taking on the role of transition partner, meaning VDL not only delivers the buses but takes responsibility for the entire system, including installation of the charging stations. With the start of production of the new city bus, the MAN Auto Uzbekistan plant in Samarkand is developing into a competence centre for CNG vehicles. MAN Truck & Bus has been offering its customers the full portfolio of city buses for many years, and this includes the alternative drive variants. This means nearly all current models can be run on biodiesel or synthetic diesel (HVO – hydrotreated vegetable oil). Gas engines have been part of MAN’s portfolio for over 70 years now, and since the year 2000, over 8000 CNG city buses have been sold. This range welcomed its newest member in 2010, in the form of the MAN Lion’s City Hybrid. 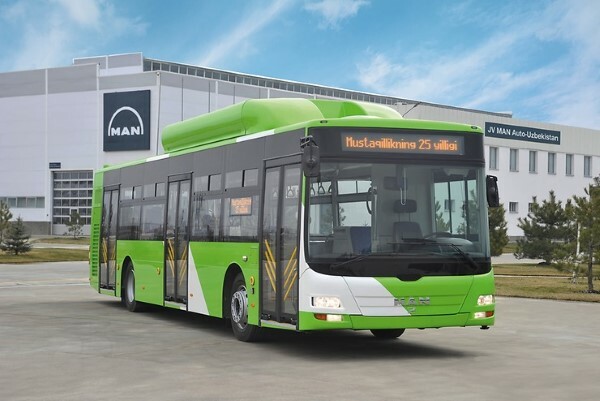 In the next step towards emission-free transport, MAN Truck & Bus is planning to start series production of a purely electric city bus by the end of 2019.